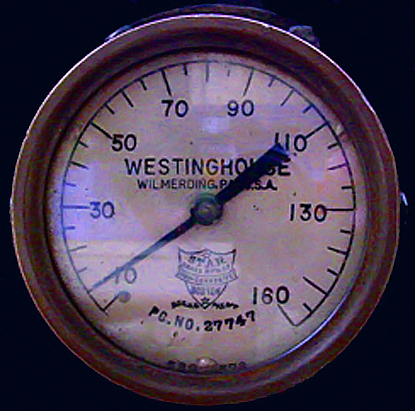 There are no comments for Westinghouse Steam Gauge. Click here to post the first comment. A very old Westinghouse Steam pressure gauge. This one was in use when I took this photo.